S.O.F.A. member Margaret Slape-Phillips has twenty new paintings in an upcoming exhibition in Marion Cultural Centre in Adelaide, South Australia in September. 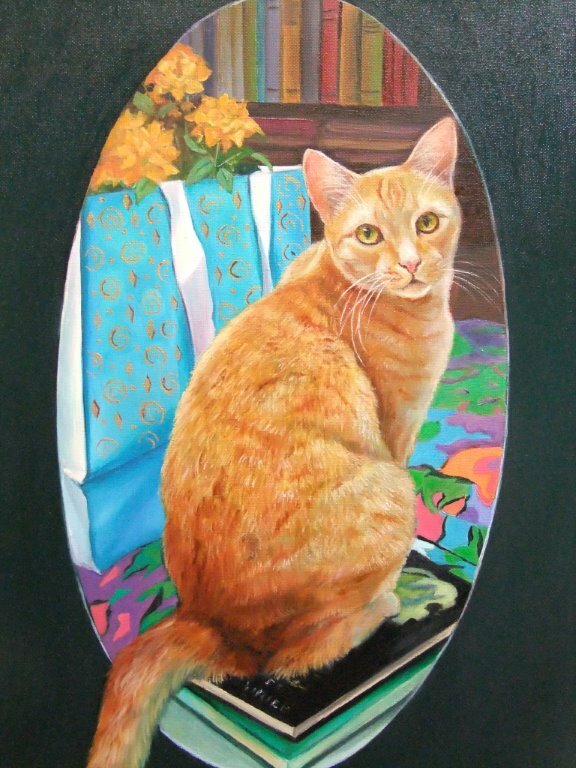 “Bookworm” features Tigger my studio muse. Oil on Belgian Linen, 46cm x 30cm. The exhibition runs from 4th – 27th September, 2015.